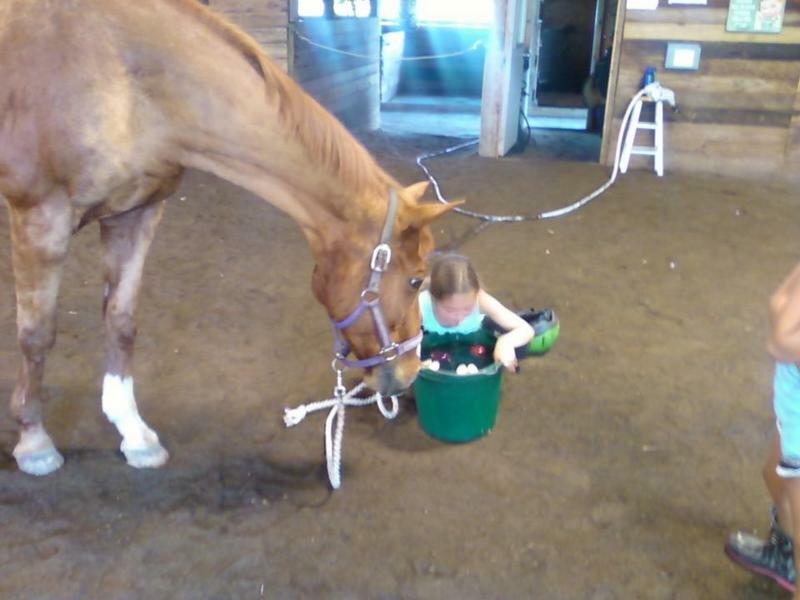 Thanks for visiting Great Escape Stables Summer Day Camp page! Please read over our camp options carefully. 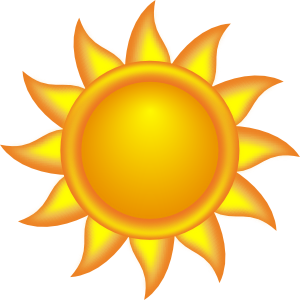 environment every summer. We're CPR & First Aid Certified! 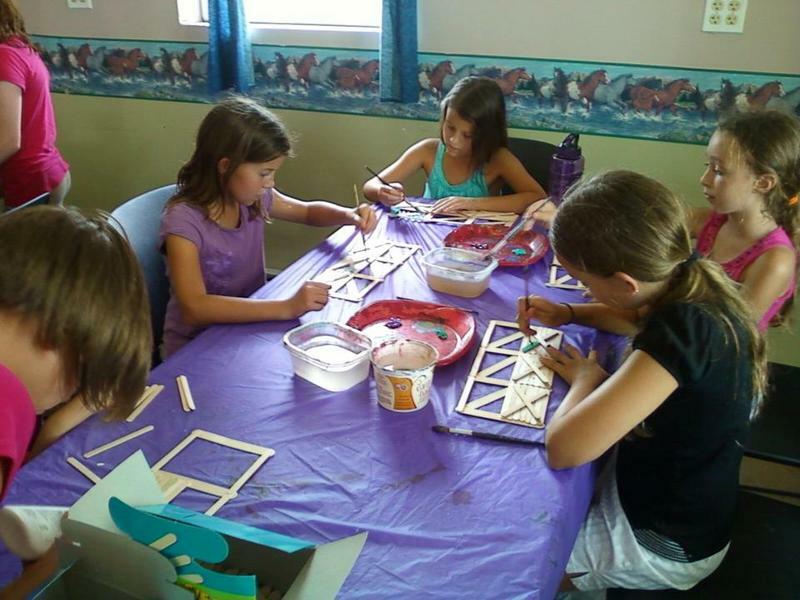 Top 10 Reasons GES camp ranks high with campers & parents! 10. Our camp groups are small (10 to 12 campers/session) & individualized. 9. Your camper isn't led around for a week by another kid like most camps. They actually have lessons! 8. Beginning campers are taught the basics of how to Stop, Go & Steering while working on their position. 7. 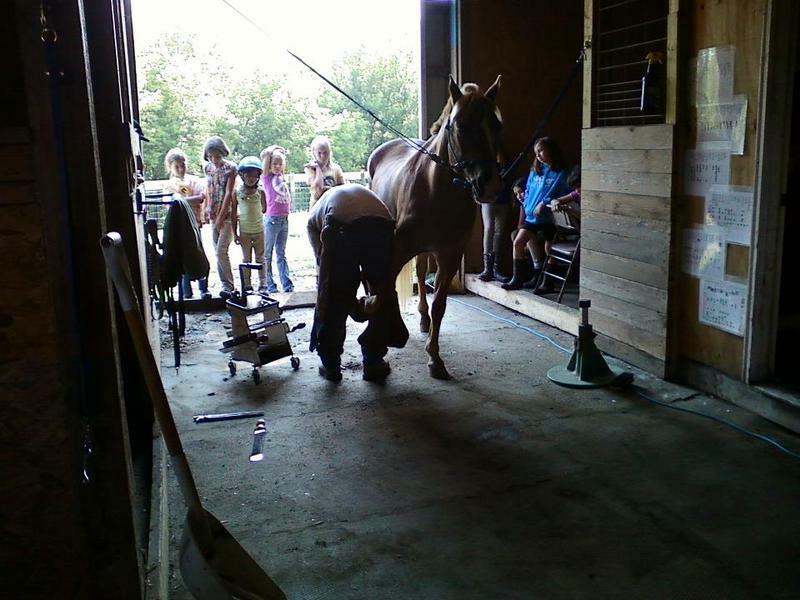 Campers lessons are taught by a USHJA certified trainer and assistants. 6. Advanced Walk/Trotters master steering skills, position changes and balance. 5. 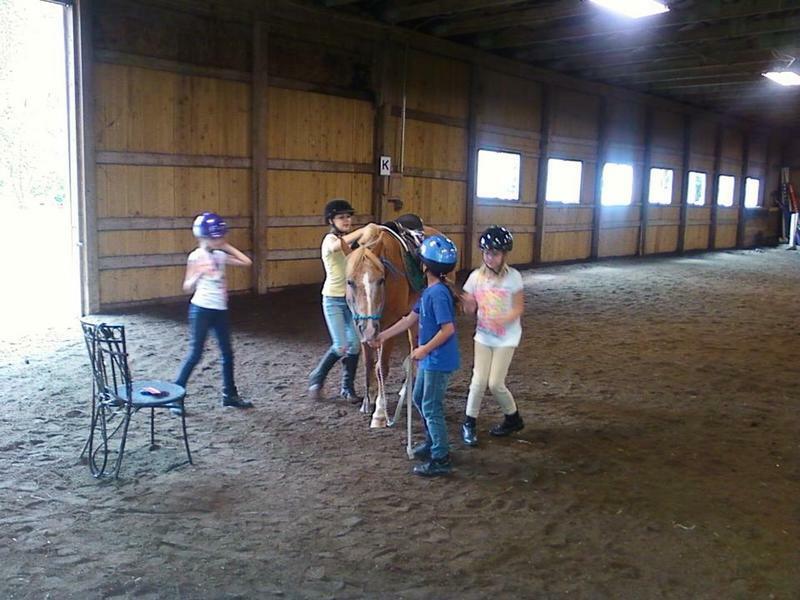 Advanced campers work on cantering, ground-poles and level appropriate jumps. 4. 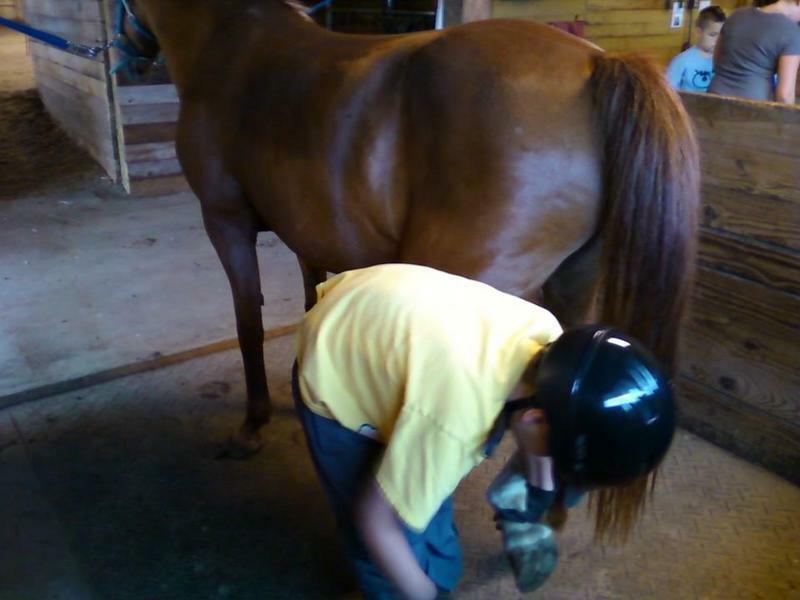 We check for retention of knowledge from riding lessons & off horse skills during each camp week. 3. 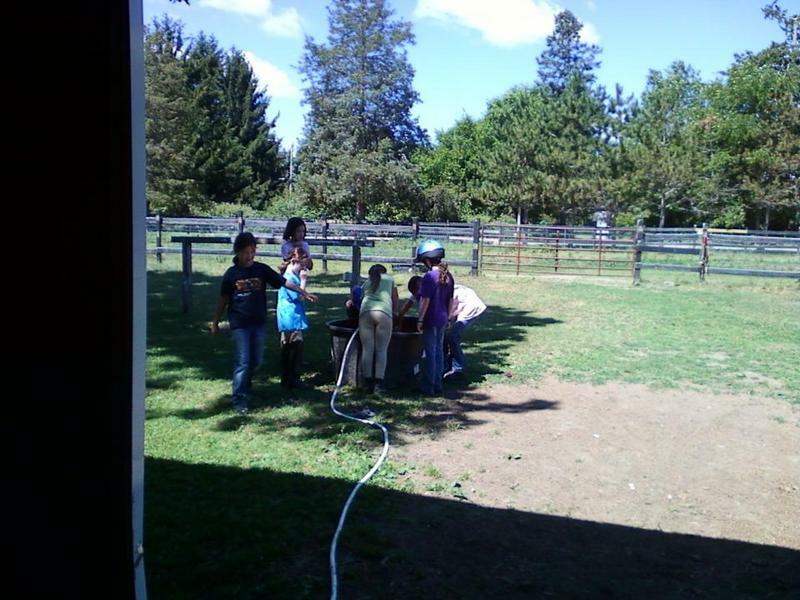 Campers in all our programs are required to learn about basic hands on, horse care and stable management. 2. 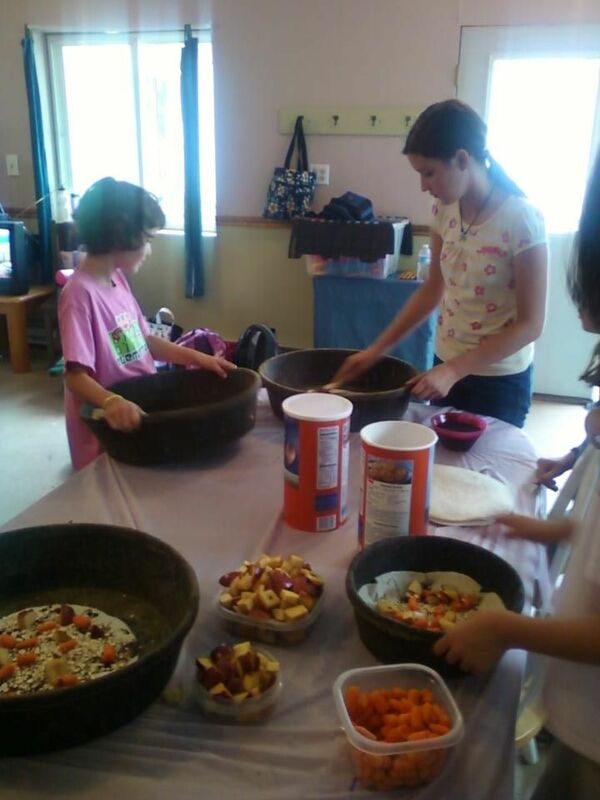 We have a great camper progression rate, each session or year our campers attend they are building on their skills. 1. Check out our Photo Gallery! STEP 1: You can register & pay for camps by clicking on the camp icon above. Fill in the registration completely and submit. STEP 2: Go back to the registration page and submit payment. If aftercare has been requested you will be invoiced separately. STEP 3: We will send you a confirmation email. IF you DON'T receive a confirmation email from us with in 1 week of registering, please contact us. You camper is not registered until we confirm registration, forms and payment. Please make sure to contact us before registering if you have any questions. Please also note there is a $40 office fee for excessive changes or paperwork outside of the basic registration. AFTER-CARE M-Th.-Advanced registration is required at the time of camp sign-up. After care goes until 5:00pm and is $10 per time. Additional child care maybe available upon special request at an additional charge. More in the Photo Gallery, Click Here! Check the roster page here! You will also find additonal camp info. 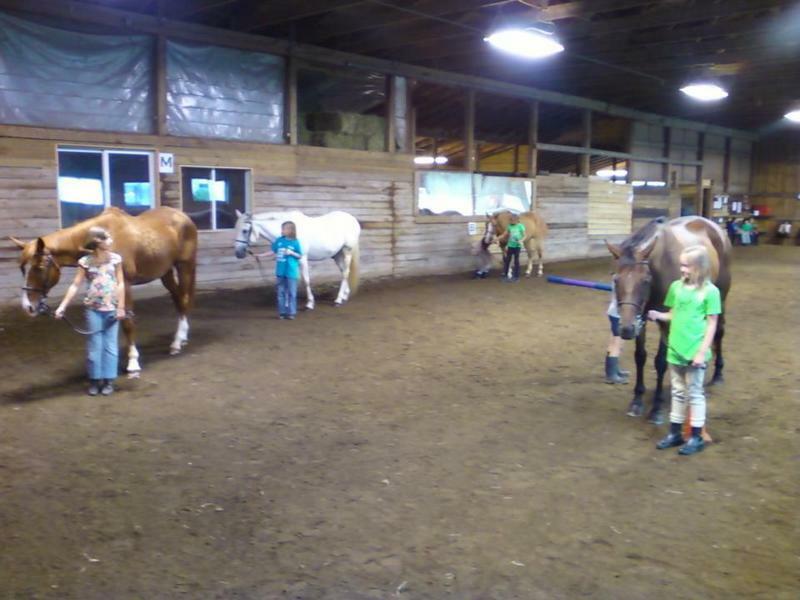 Ages 8 to 15, this is a more advanced version of our regular camp and is geared towards riders who are seasoned riders or returning campers and can work w/o stirrups at the walk/trot on various horses. As well as work over ground poles. 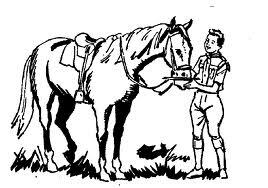 Riders must be taking regular/yearly camp sessions or lessons (anywhere) to join and have basic horsemanship/barn care knowledge. Must have GES trainer approve if under 10 years old. 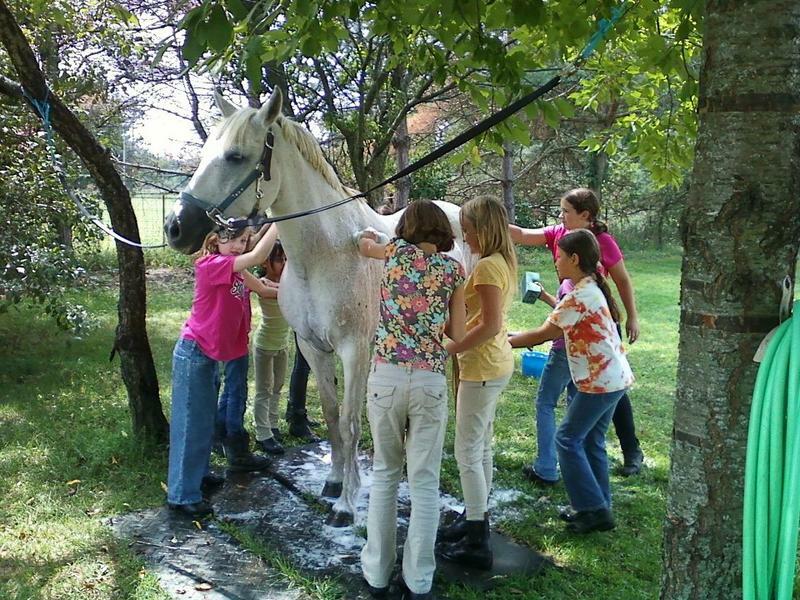 Riders at this level may bring their horse to camp. CLICK THE ICON TO THE LEFT TO LEARN MORE ABOUT THIS CAMP! 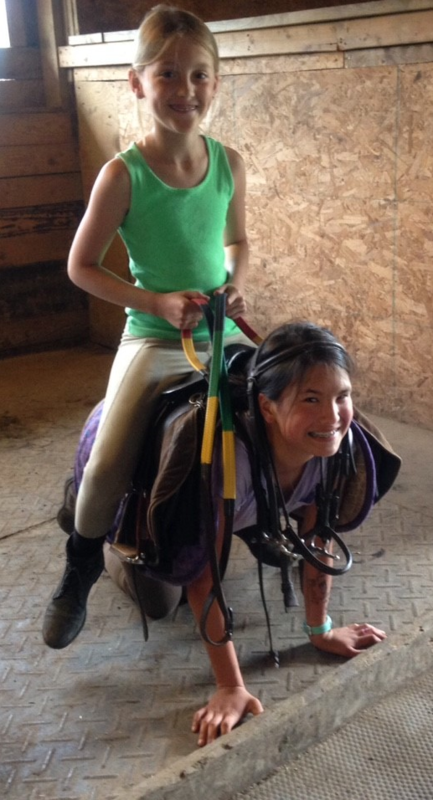 Ages 6 to 13 riding at a GES Level B or higher. 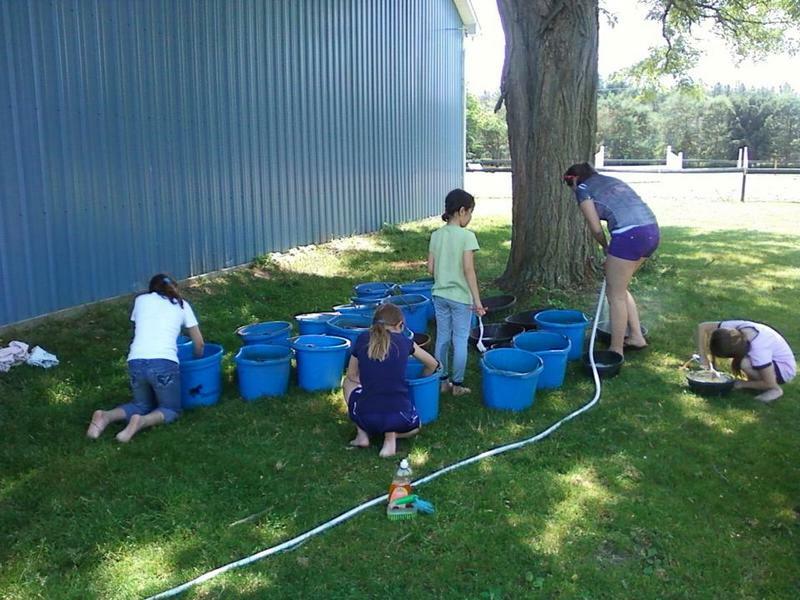 Campers learn about grooming, bathing, tack and it's care, breeds, conformation, basic vet care, colors, markings, equine environments, horse health, teamwork, responsibility, leadership and much more during their week at camp. 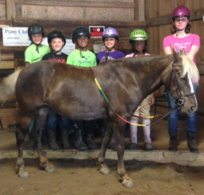 Campers also work on improving their basic riding skills with level appropriate exercises and skill progression in a fun and professional environment. CLICK THE ICON TO THE LEFT TO LEARN MORE ABOUT THIS CAMP! Young Rider Mini-Camp - Beginner Level (4-day camp, 9am to 1pm) - July & Aug.
Ages 4 to 6 (3 year olds accepted with parent assistance). 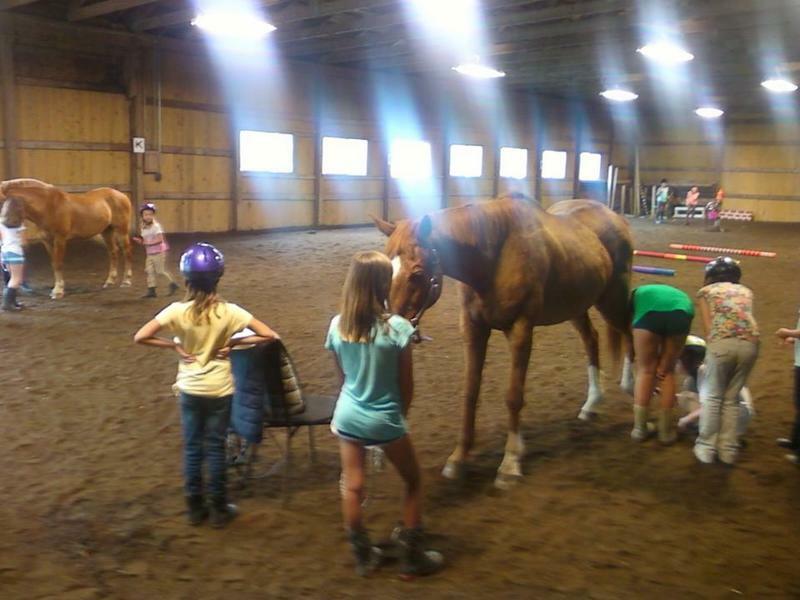 This is a mini camp to get Young Riders introduced to horsemanship and the very basics of riding. 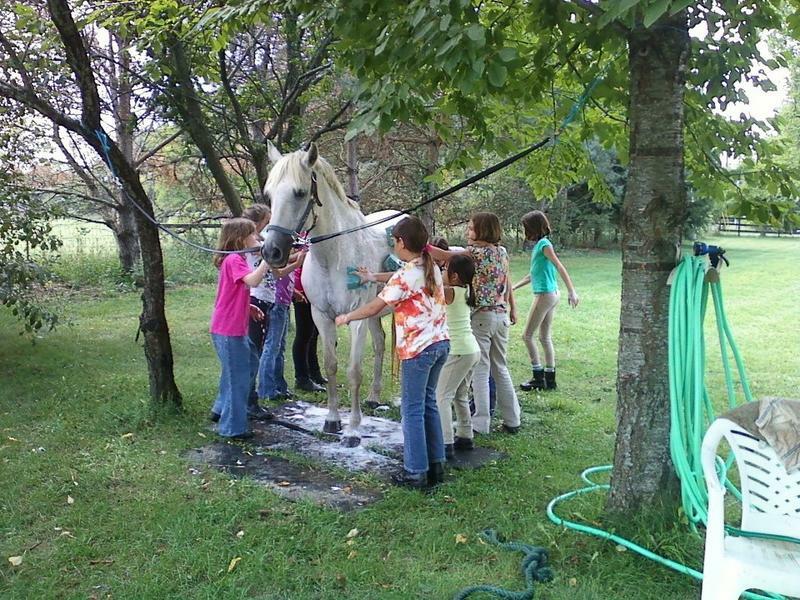 Campers assist with a barn chore each day, grooming and tacking their pony, have a mini lesson, snack time and horsemanship lesson, game or craft. CLICK THE ICON TO THE LEFT TO LEARN MORE ABOUT THIS CAMP!